Why Attend: Learn about local resources available to help entrepreneurs start or grow a business and find out about loan programs specifically for veterans. Who Should Attend: The event is focused on veterans, but anyone may attend. Although some information is specific to veterans, much of the information is relevant to all small businesses. 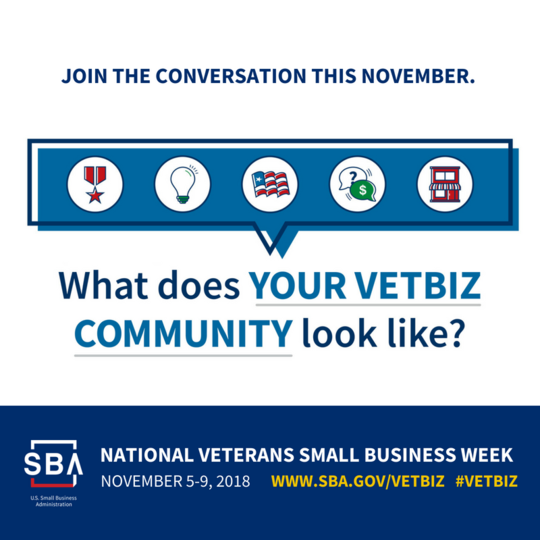 Speakers include: Small Business Administration, Veterans Business Resource Center, Small Business & Technology Development Center at Missouri S&T and veterans who are small business owners. Time: 11:30 a.m. –1:00 p.m.
Space is limited-registration required. Click the registration button below to sign up. For more information email Travin Shelton at sheltontt@mst.edu or call 573-341-6272.